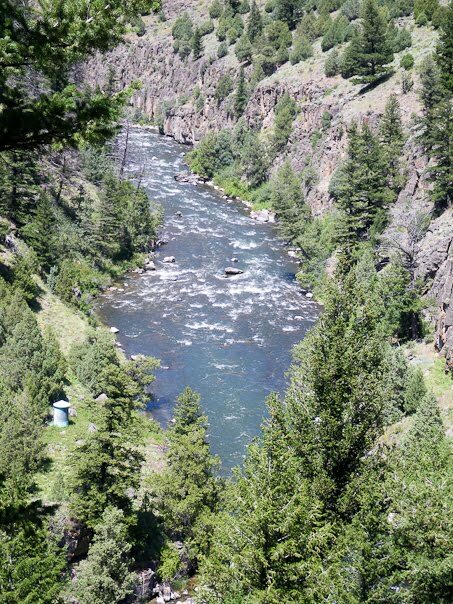 Last year, the state of Idaho allocated $400,000 in matching funds for the BOR to study the feasibility of rebuilding the Teton Dam in the Teton River canyon, or building an off-channel dam at another location in the basin. After many strategic discussions with American Rivers, TU, and Idaho Rivers United about including cheaper, less environmentally damaging alternatives to the rebuilding of the Teton Dam, the BOR has developed a "Henrys Fork Special Study Framework" which will focus on conservation and changes in water management, as well as storage alternatives, using a collaborative stakeholder-driven approach. The BOR plans to unveil its new strategy at the next meeting of the Henrys Fork Watershed Council on Tuesday, April 20th at the Mountain View Inn (formerly Best Western CottonTree) Conference Center in Rexburg . This meeting is open to the Public. For detailed schedule, click here to be directed to the HFWC website and click the "meeting schedule" tab at the top of the page.